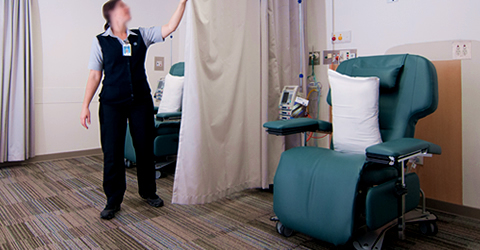 Staged construction of a new Infusion Centre at the St Andrew's Private Hospital in Ipswich. Constructed in two stages in a live hospital environment including a new oncology unit and offices. The existing outdoor courtyard was renovated to extend the existing 4-bed ward to a 5-bay oncology unit. 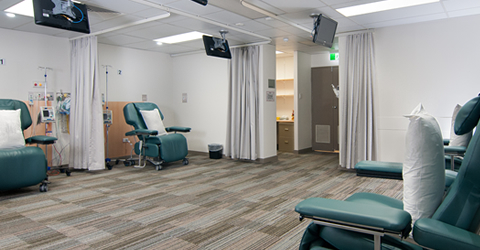 This is the first private oncology clinic in Ipswich. An accelerated construction programme resulted in delivery ahead of programme. 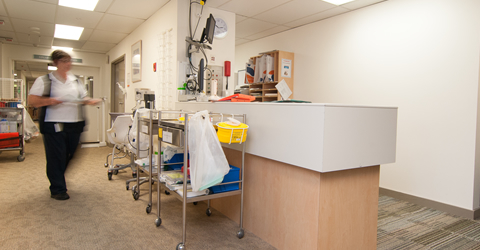 Having completed the Nambour Selangor Private Hospital Oncology Unit and the refurbishment of the Rehabilitation Wing at NSPH as well as the Pindara Hospital Stage 2 refurbishment, we are pleased to continue our strong relationship with Ramsay Health Queensland.